Christmas is around the corner, and we’re all preparing for the big day. Whether it is making mince pies, a Christmas cake or turkey dinner, it would bake so much nicer in a clean oven. 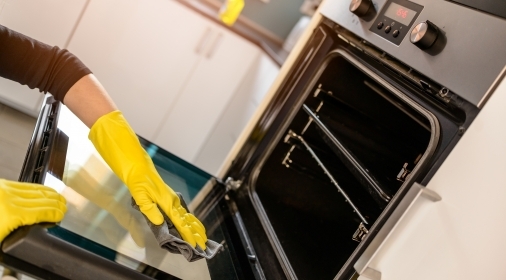 So, what is the best way to clean your oven? Take out and soak all removable parts: You should remove all the parts of your oven you possibly can. Put these into soak, while you move onto the next steps. Start to work on the hob: Start by cleaning your hob. Make sure you are using clean cloths, and get into all the little areas that collect dirt and grease. Concentrate on the grill: You should now move onto the grill, working from the top down. Make sure you thoroughly scrub all areas. Inside your oven: Give the inside of your oven a good clean. Don’t forget to do the oven roof! 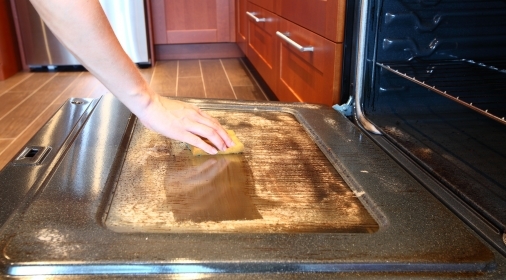 Clean your doors: Nothing can bring down the look of your oven like a dirty door! Clean your doors carefully, as they are normally made of glass. If you are able to remove the glass, take each piece out to get the best results. Polish your knobs: Your oven is almost done! Clean and polish any knobs on your oven and your hob, to get a great shiny look. Revisit your removable parts: It is now time to go back to the racks and trays that you earlier removed from your oven, and thoroughly clean them. These should clean easier after being in soak. 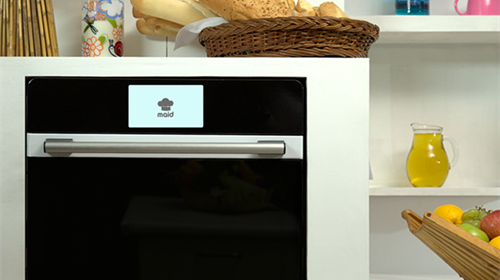 Reassemble: Now you can put everything back into your oven, and put your feet up! Rather leave it to the professionals? Our specialists will clean your oven to a professional standard. Using no caustic added solutions, which are child and pet-friendly. Click here to get your free quote, or call us on 0800 840 7127.